The 10 Best Thrift Shops in Utah! Nothing beats the thrill of thrift shopping. 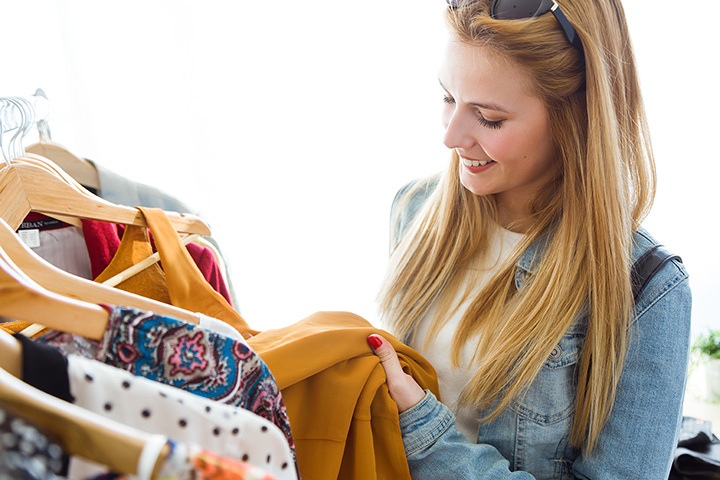 For one thing, it takes effort to scour a shop’s inventory, but in most cases, the hard work and consistency thrift shopping requires reaps immense benefits such as incredible deals, interesting items, and less of an environmental footprint. Not to mention that thrift shopping is typically an enjoyable adventure that makes you prouder of what you do find, because in the end, you’re left with one-of-a-kind items to enrich your life and style. If you’re looking for current trends rather than vintage finds, Uptown Cheapskate is a good starting point. The shop buys gently used clothing, shoes, bags, and accessories for cash, which means you can also make money in exchange for your once-loved goods. What’s unexpected about the Exchange Consignment in Park City, is that it doesn’t feel like a thrift store. In some ways, it feels like a boutique or a concept store. In other words, the Exchange Consignment is pretty picky about what it sells, meaning you’re pretty much guaranteed an awesome find. The most popular chain of thrift stores in Utah, Deseret Industries is owned by the Church of Jesus Christ of Latter-day Saints and has numberless storefronts. Employing the disabled and disadvantaged, Deseret Industries is a treasure trove of both high-quality and hilarious finds. Lost & Found Thrift focuses more on furniture and other vintage items rather than on second-hand clothing. This is the kind of thrift store where you’ll find that one-of-a-kind emerald green couch you’ve been looking for, or better yet, a set of vintage building blocks for your kids. Located in the stunning Heber Valley, this thrift store is a mecca for state-wide thrifters who set out every weekend to uncover unexpected deals. With most of its items coming from the ritzy residents of Park City, St. Lawrence Thrift Store also has a ski sale every year. Similar to St. Lawrence Thrift Store, the Calvary Thrift Store in West Jordan is a non-profit Christian shop. It’s known for good quality items at reasonable prices and a wide selection of well-organized books that are only $1 each. Crossroads Thrift Store lives up to its name, meaning the store really is a place of intersection. Frequented by all different types of people, the store makes concentrated efforts to actively serve its community, making it a favorite amongst Salt Lake City residents. Mel’s is a well-curated, well-organized store with an ambience much more appealing than your average second-hand shop. Everything is cute at Mel’s, which makes it popular with men and women looking to decorate their homes or adopt more of a vintage aesthetic. Although Somebody’s Attic appears just a regular thrift store to ambivalent passerby, the store prides itself on having a distinguished cause. Founded in 1985, the store is technically a non-profit organization that collects funds for abuse-prevention programs. Needless to say, you can feel good shopping at Somebody’s Attic, knowing someone else’s needs are being met. Another non-profit thrift store, Beyond Thrift has locations in American Fork, Orem, and West Valley City. Formerly known as “Tag’s Thrift,” the layout of Beyond Thrift is pretty similar to that of Deseret Industries. The store sells everything from furniture to toys and clothing, and boasts of an ever-changing selection of goods.